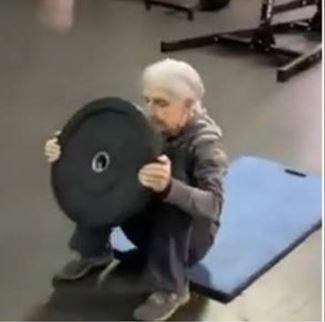 A video of a 72-year-old woman doing workout has gone viral on social media. Shared on Facebook by 901 Physical Therapy, the video features Lauren, a septuagenarian who goes on to do the exercise for almost a minute. “I showed Lauren these Mayweathers for the first time today. She is all natural! Let me see that birth certificate! There is no way you are 72!” read the caption on the post. The exercise is a part of the intense regime of professional boxer Floyd Mayweather’s training plan. After the post went viral many others too shared theirs . Your core is literally the core of your body and exercising your core is the only way to good health!